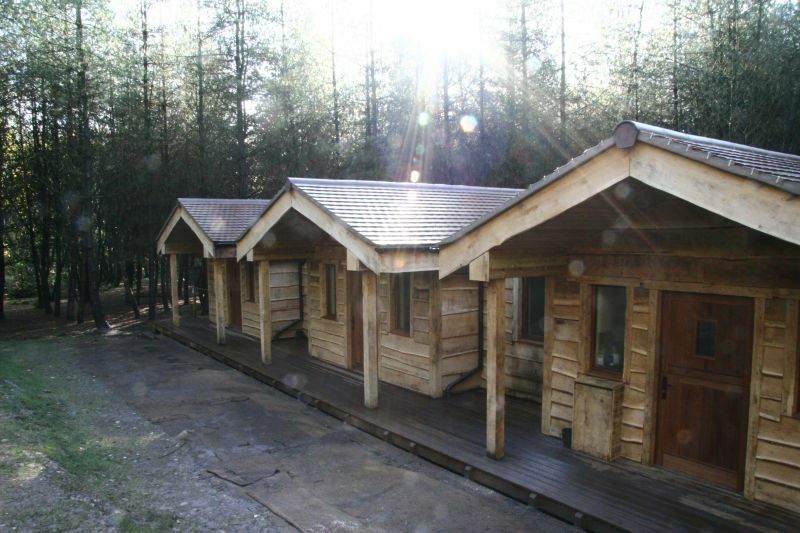 Huntley Wood is a 170 acre outdoor events venue in Cheadle, Staffordshire. 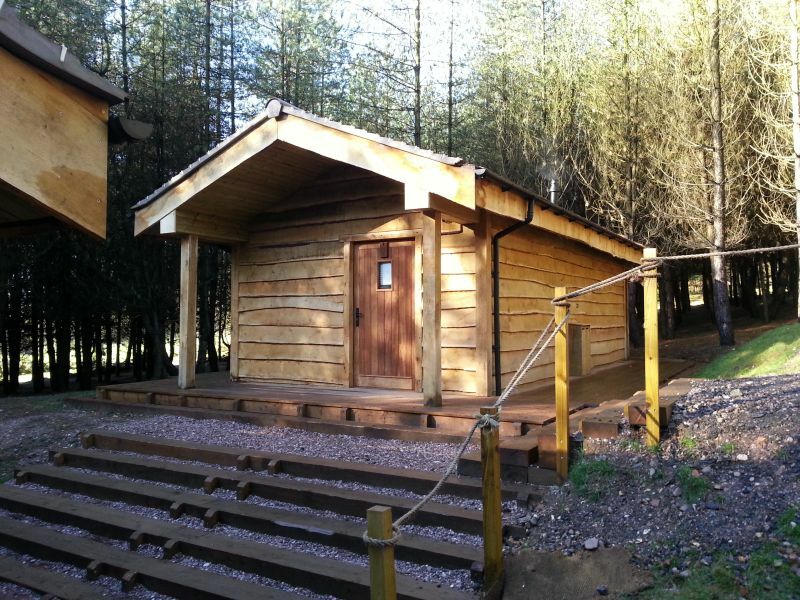 Its lakes, grasslands and woodlands are the destination for a wide range of groups, from cyclists, people on team building retreats and orienteering, to folk music workshops, role playing groups and battle re-enactments. Owners Emma and Jonathon bought the site, a former quarry, in 2010 and have since worked hard to transform the large area into an astonishing activity location. (Click the pictures for larger versions). 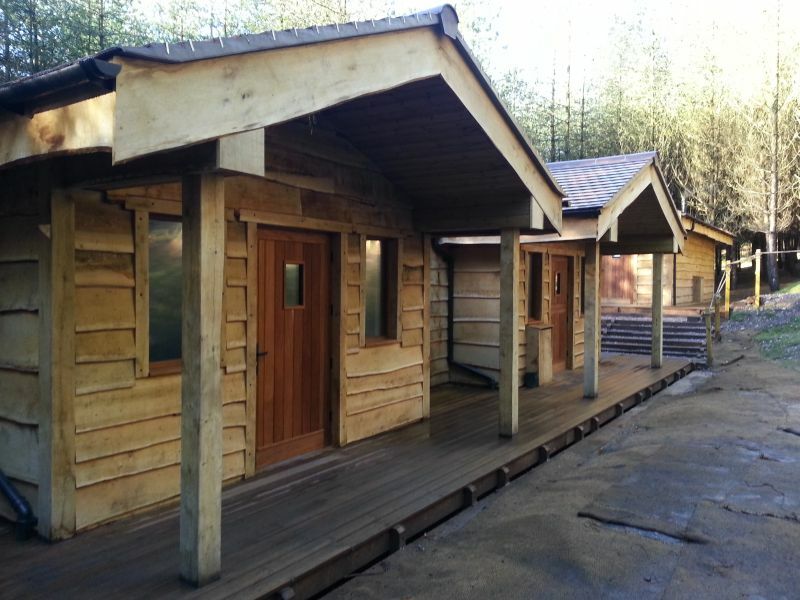 In 2012, one addition to the site was a group of purpose built guest cabins nestled away in the woodlands. 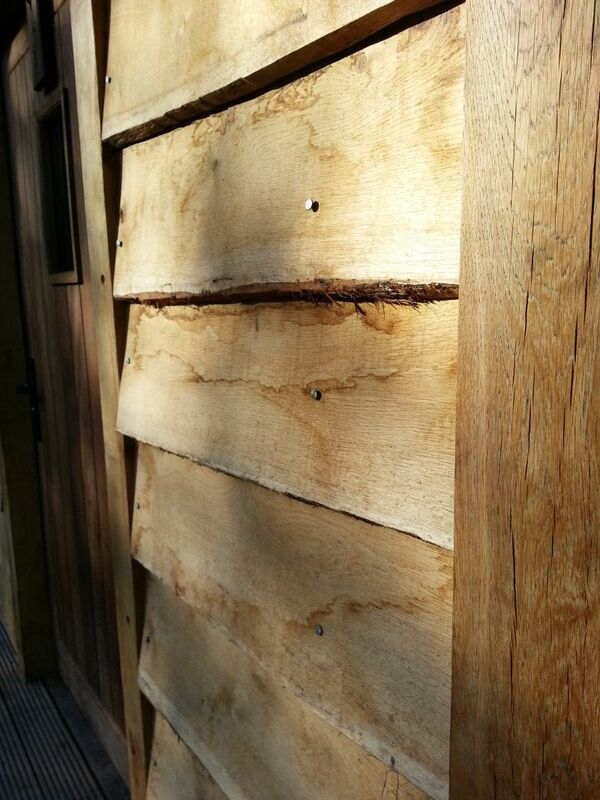 iWood had the pleasure of supplying the external Oak cladding for the buildings which was installed by their builder. 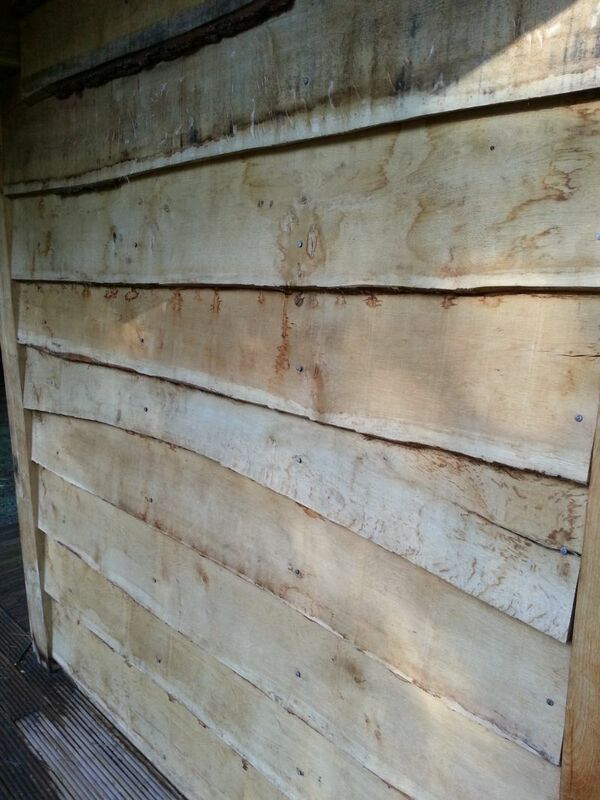 At the time of writing, the cladding has been in place for around a year and it will take another year for the transformation to the traditional silvered look, perhaps a little longer because of the shade afforded by the surrounding trees. 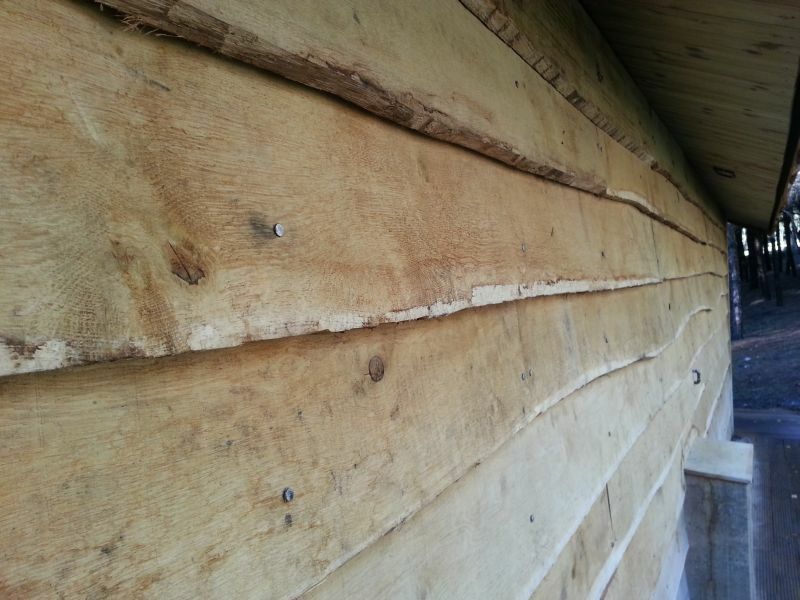 This particular type of cladding is called "One Square Edge, One Waney Edge", meaning that on the exposed edge of the timber you still have the bark of the tree. 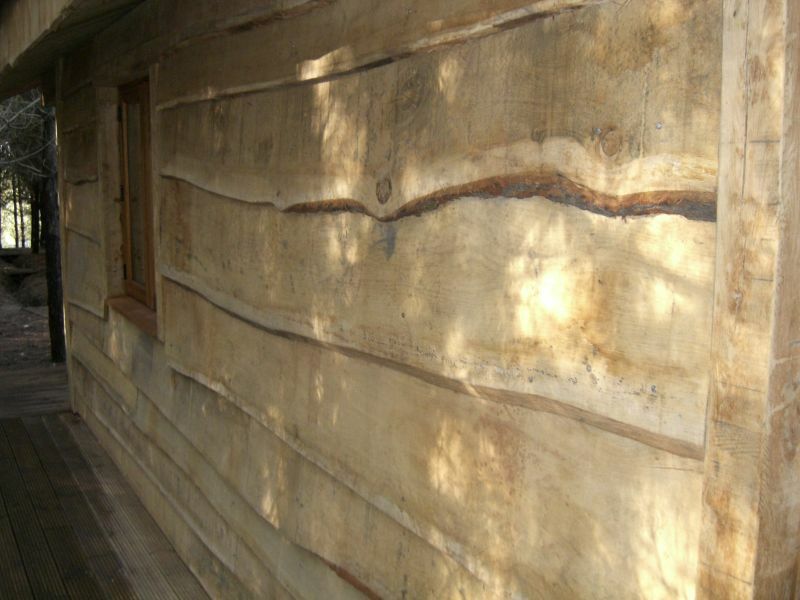 Because this edge isn't cut, you see the natural shape of the tree trunk, giving a less uniformed and more natural look to the cladding. 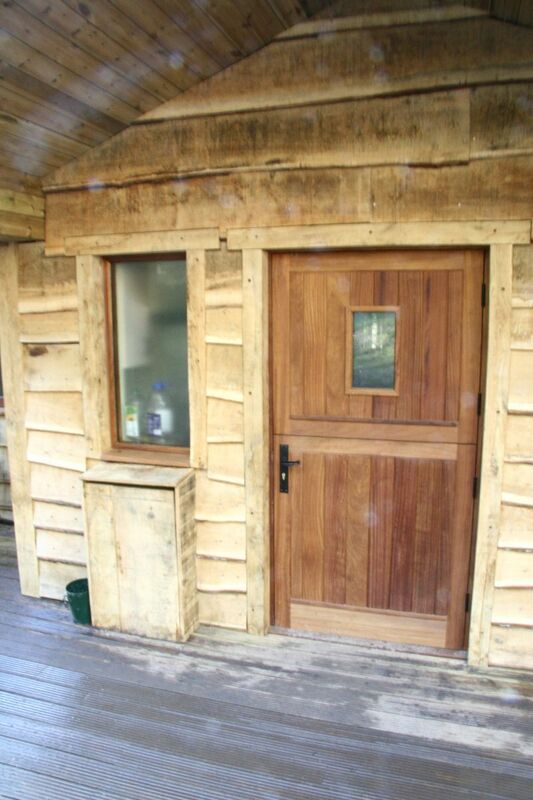 For more information about Huntley Wood and the activities they cater for, see their website at http://www.huntleywood.co.uk/.